Solenoids are electrical components with a wide range of applications; found in everything from electronic door locks to dialysis machines, they consist of thin, coiled wires, which produce magnetic fields when a current is applied to them. Generally used to toggle the state of switches or valves (and often confused for electromagnets, which function similarly), solenoids are most commonly known as key components of vehicle engine starters. Though they are used in many complex machines, solenoids themselves are simple components – and diagnosing a faulty one can be done at home with the right tools. Solenoids are easily confused with electromagnets, for good reason: the two electrical components function based on the same premise – that a tightly coiled wire will generate a magnetic field when a current is applied to it. The key difference lies in whether or not a magnetic core is present. If the coiled wire is wrapped around a soft iron or similar metal core, the component is an electromagnet and the strength of its magnetic field can be increased or decreased with the amount of electricity applied to it. If that core is not present, the component is a solenoid. Because solenoids can only be in binary on or off states, they are generally used as simple switches within electronic systems. Regardless of the system your solenoid is being used for, the first steps to testing a potentially faulty solenoid involve ensuring that the connections to the rest of the system and the system's battery are functioning appropriately. Check any wires, terminals or other connections to the solenoid, as well as the mounting of the solenoid itself, to ensure that everything is connected solidly and that none of the terminals are corroded. Next check whether the system's battery has enough of a charge, and if the system is running hot: If the battery is running too low, or the system's temperature is too high, the solenoid may fail to work properly. If the solenoid passes the first set of inspections, the next steps will depend on whether or not your solenoid is being used as part of a vehicle's engine. If this is not the case, your solenoid can be easily tested with an electrical multi-meter: setting the multi-meter to test continuity, connect the solenoid to its power source and then test both the positive and negative terminals of the solenoid – if your multi-meter does not beep, current is not moving through the whole of the solenoid and the unit should be replaced. If your multi-meter beeps, but the solenoid still does not appear to function, switch the meter to test resistance and check both of the solenoid's power terminals: if the reading is higher than 0.3 ohms, the interior of the solenoid has degraded and is not conducting enough electricity to function properly – and the unit should be replaced. If your solenoid is being used as part of a car, it can still be tested with a multi-meter – but the continuity test can be done without it. Locate the solenoid (generally found either next to or as a part built into the starter) and then, with a friend's help, insert and turn the vehicle's key. If the battery and the connections have been tested and you hear the starter click, but the engine does not turn over, the starter solenoid unit should be replaced. Keep in mind that while it is possible that the solenoid is supplying enough power, it is just as likely that the starter's mechanical systems have degraded or weakened over time, to the point that the solenoid's functioning is easily disregarded in comparison. Study.com: What is a Solenoid? 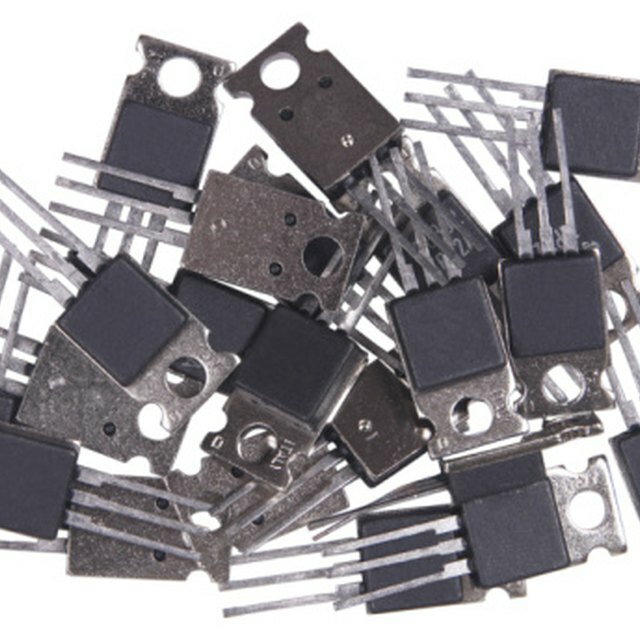 What Is an IC Socket? Flournoy, Blake. "How to Detect a Faulty Solenoid." Sciencing, https://sciencing.com/detect-faulty-solenoid-7902184.html. 13 June 2018.